Securing iOS and Android apps is a challenge. In this guide, I will be addressing some platform specific security measures your organization should consider, to make your apps more secure. Many tips in the list below are general practices that you may recognize and be able to easily address while browsing through your apps’ source code. Future guides will detail secure development processes, methodologies, and additional resources. Apple and Google provide guides with recommendations for secure mobile development practices. These guides are valuable resources for gaining an understanding of iOS and Android security concerns. 1. 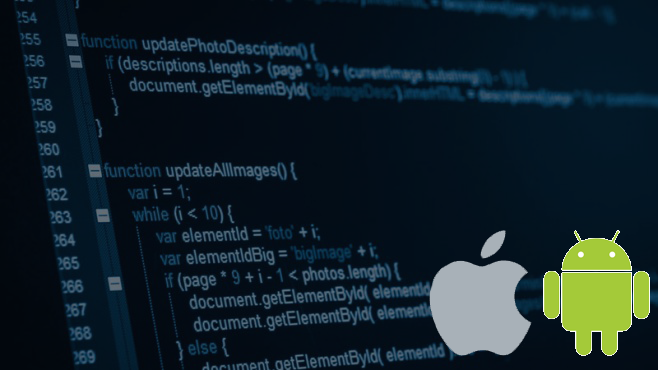 Check out Apple’s Secure Coding Guide for iOS. 2. Take a look at Android’s Best Practices for Security & Privacy. b. Or use a validation library such as Android Saripaar. Android Saripaar allows you to define validation rules using annotations. Saripaar provides rules for most basic validations (passwords, emails, credit cards, checkboxes, etc) as well as custom validation. 2. Create files and access SharedPreferences using Context.MODE_PRIVATE or Context.MODE_APPEND so that these files are only readable and writable for the application that created the file. Using MODE_WORLD_READABLE and MODE_WORLD_WRITABLE is dangerous and highly discouraged. It is recommended that you use ContentProvider, BroadcastReceiver, and/or Service functionality to share app information. 3. In your application’s manifest, mark ContentProviders, BroadcastRecievers, and Services as android:exported=false when possible. This prevents other applications from accessing them. By default: Android exports any Services containing intent filters. Explicitly declaring android:exported removes any ambiguity. 4. Obfuscate your app using Proguard. Proguard is now integrated into Android Studio and can help reduce the size of your app and provide obfuscation in order to make reverse engineering more difficult. You can find Google’s guide to implementing Proguard here. 1. Any integrated crash reporting tools like ACRA, Google Analytics, etc will report wrong line numbers and method names as your codebase. 2. You need to exclude all packages and classes which use annotations. 3. Proguard provides the ability to decipher obfuscated stacktraces. 5. Remove confidential console logs and comments before publishing your app. Note: This configuration may make line numbers different for production stacktraces, as lines are removed. a. Implement your own validation. b. Or use a validation library such as Validator. Validator is available as a Swift or Objective-C library through the ObjC branch. Validator has a wide range of validation rules and patterns (email, password constraints, URL, credit card, length, etc). The library also allows you to write your own validation rules. 2. NSUserDefaults should not be used to store sensitive data. Also note, NSManagedObects are stored in an unencrypted DB file. 3. Data in plaintext should not be stored in the application’s sandbox. The app sandbox has some basic protections but may be compromised. Consider using encrypted storage methods for sensitive data. Apple provides detailed documentation on using the app sandbox. 4. TextFields that have inputs as passwords should be used with Secure option, and should have Correction disabled. iOS typically caches all text entry in textfields, provided it doesn’t have the Secure tag. a. These properties can be set in Interface Builder.